If you know me at all, you’ll know that I’m a big champion of UKYA, and Cruel Summer has been flitting across my radar since it was released. Having not read many books like this one, I was a bit hesitant beforehand but I was super pleased when the opportunity to review it came up and I jumped at the chance. When Janey Bradshaw is murdered on the night of Telscombe Cliffs’ prom, nothing is brought up until her group of friends meet up the summer after in Spain. There’s Ryan, Katie, Alisha, Ben, Greg, and Greg’s girlfriend, Erin. But when events are brought up to the surface again, one thing is made clear: one of the gang murdered Janey Bradshaw, but which one of them was it? I haven’t read a book in a long time that gripped me as much as Cruel Summer did. One of the things that I loved the most was that it engaged the reader and I was certainly involved; I felt like I was a spectator and was constantly wondering who the murderer was, much like the friends would have been doing. 5 stars is not a high enough rating for this book. I want to create a whole new rating system for it. It’s a book that I’m going to be recommending non-stop and I just want to gush about it. I really loved Ryan and his way of thinking. He would imagine life as a TV programme in scenes and series and it’s something that, with my wild imagination, I would probably do myself and that was his coping mechanism. I know that sometimes I’ll imagine I’m somebody from a book or a TV show because it’s a way of explaining life and getting through the day. It helped Ryan detach himself from the drama that was going on and I liked that. Alisha was another of my favourite characters and the novel alternated between following Ryan and Alisha so it was fitting that I loved them both. Alisha was more fiery and spirited than Katie or Erin and I found her a lot more interesting and easy to get to know. I felt comfortable reading about her and wanted to know more. She was one of the reasons for me being so hooked. Without giving anything away, Dawson is able to write mystery perfectly. There were so many twists and red herrings. I was sure I knew who the murderer was and then something would happen and I would change my mind. There was always an inkling of doubt in my mind whenever I thought I knew who it was and it was easy to put myself into the characters’ minds. 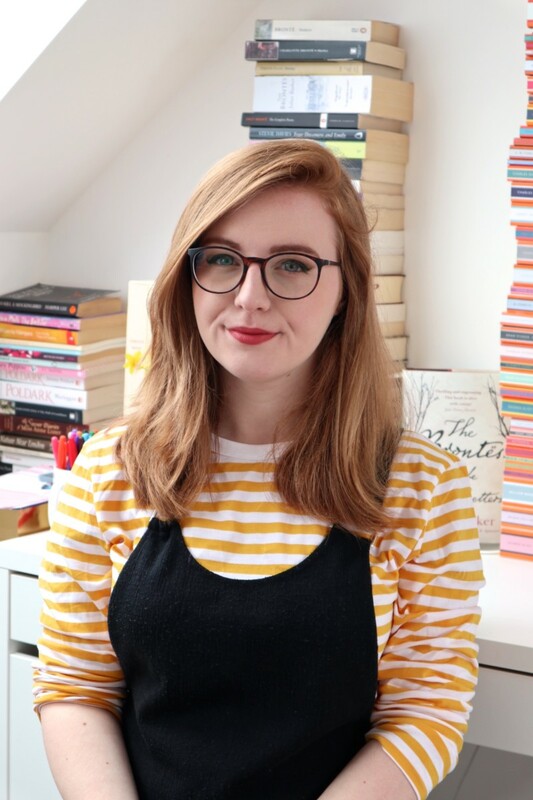 Cruel Summer showcases effortlessly how fab UKYA is and I know that I will be thrusting it into the hands of whoever is brave enough to come near me when I have my bookish head on. Everybody must read this book! I’m glad that this worked well for you! I haven’t heard of this before unlike you but I think I’ll give it a shot in the future because the synopsis is very engaging! Murder mysteries aren’t really my thing but Cruel Summer really intrigues me, and I’ve seen so many rave reviews that I think I’ll have to read it. I also love books set in other countries, particularly hot ones, and Spain fits the bill perfectly! This is definitely on my to-read list – thanks for the review, Lucy! This is really interesting to read, because I read this book a few weeks back and couldn’t stand it! In fact, all the things you liked about it are the things that put me off. Weirdly, I kind of love when that happens. I’m glad you enjoyed it so much. Have you read his other book, Hollow Pike? It’s totally different, but worth looking at since you enjoyed this. I so need to read this one! Every time I see it, I get more desperate to pick up a copy as it sounds like such an incredible book. Awesome review Lucy! I love these sort of books where you are just so involved and you feel like the detective yourself. I love flipping between people you suspect and then getting proven wrong, it’s just what creates a good mystery. It seems this book is really good because I think Jack said the same thing about this book. I definitely want to pick this book up one day, I love a good murder mystery every now and then. Francoise recently posted…I bought HOUSE OF HADES!!! The name has now gotten that song in my head…Oh well. This book looks ideal for me, I really love a good murder mystery. I have been in a psychological thriller/mystery phase lately and it’s been so intense I may need to dial it down a little. I would recommend a book by Don Grippo in that genre, To Sleep…Perchance to Die. It was a great read. http://www.dongrippo.com for it’s information. But this looks good, I may give it a go! Thanks for the review! Ooooo I want this! Sounds really good! I love a mystery! Awesome review Lucy, sticking this on the TBR! This book sounds reeeeealy good. I’ve been having trouble getting into ‘gooey gushy’ romance books, so I really need something interesting :p Not that romance books aren’t interesting… buuut 😛 this sounds AWESOME!